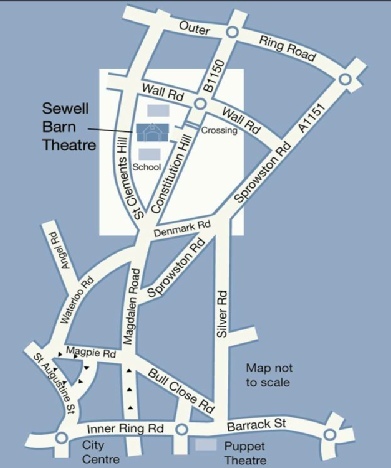 The Sewell Barn is situated to the north of the City and is easy to find. There is plenty of free parking available at the front of the theatre including designated spaces for disabled people. Please park in two rows parallel to the front of the theatre. If this area is full there is on-street parking on Constitution Hill and neighbouring roads (please take care not to block gateways).